Snacks There are 4 products. 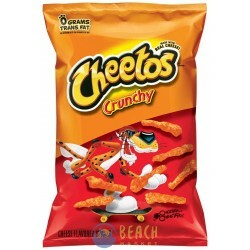 Everyone loves Cheetos, crunchy, delicious, orange finger licking good! 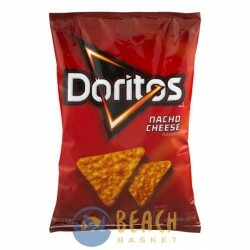 Doritos® Brands Nacho Cheese Flavored Tortilla Chips. Guaranteed, fresh until printed date. Chips enlarged to show texture. 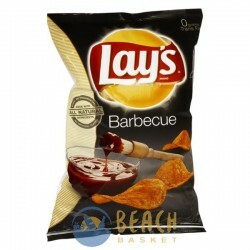 Lay's® Barbecue Flavored Potato Chips. Guaranteed fresh until printed date. Made with all natural ingredients, no MSG - no preservatives, no artificial flavors. 0 grams. Trans fat. 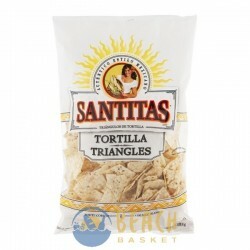 Santitas® White Corn Blend Tortilla Triangles. Guaranteed fresh until printed date.